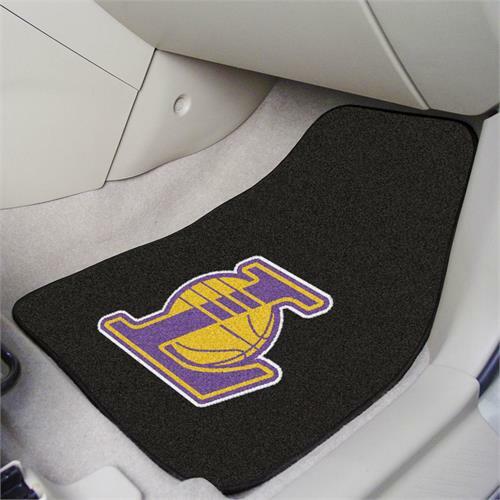 Show off your favorite NBA® team everywhere you go with a Los Angeles Lakers 2-Piece Carpet Car Mat Set from Fanmats™. These high quality tufted car mats have a 100% nylon face with non-skid vinyl backing and a universal fit that makes it ideal for cars, trucks, SUVs, and RVs. The officially licensed mats are chromo-jet printed in true LA Lakers team colors and designed with a large team logo. Made in the USA.